A very good morning to you from us here at the Succulent Series. 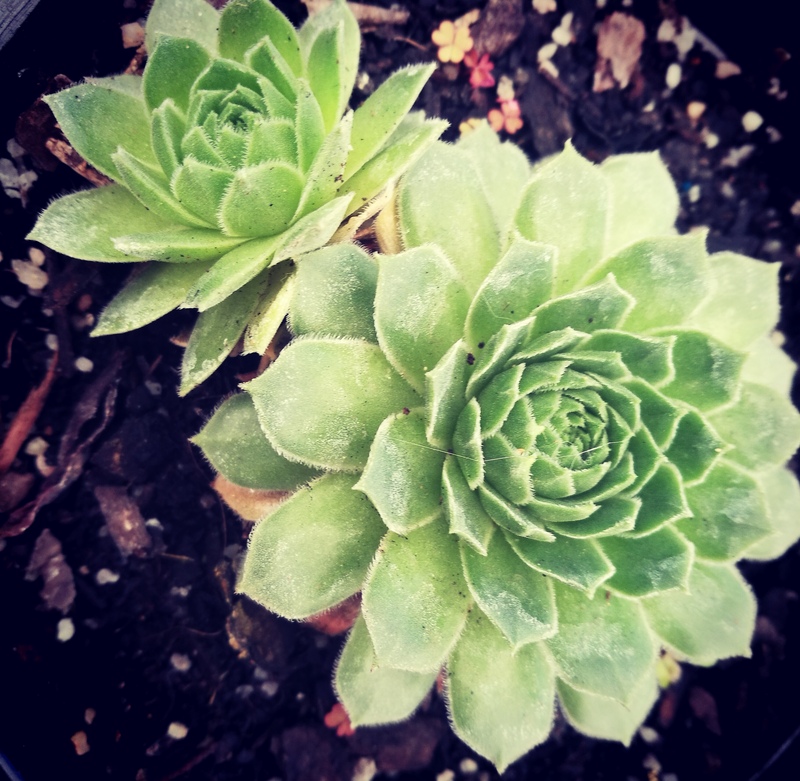 This week we discuss the cold-hardy hen-and-chicken variety of succulent- the Sempervivum! Known as Houseleeks, these flowering plants belong to the Crassulaceae family and consist of about 50 varieties. The Rosette-shaped face of the Sempervivum comes in an array of colours ranging from deep burgundy and mint green to bright yellow and dusty pink! These beauties originate from the Mediterranean islands and mountainous parts of southern Europe, but can also be found in parts of Iran, China and Morocco. This mat-forming clumping perennial can be used as a space filler in a succulent garden, or as a feature plant amongst boulders. Its pinotage-edged leaves lend a hint of deep colour to the garden. It prefers gritty sandy soil and is a fuss-free plant. In fact, Sempervivum are also known as the Live-Forever plant. How interesting! When planting these succulents, the same rule applies- well draining soil is essential for aeration. Very little water is required, and in winter, even less so. 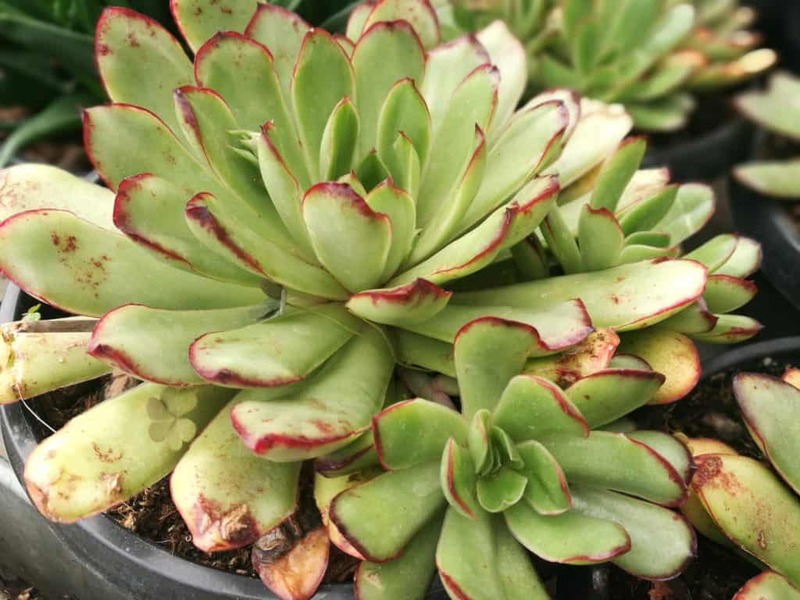 Sempervivum are not toxic to pets and can safely be grown indoors and outdoors. Once a rosette has flowered and died, remove the dead plantlet and replace with gritty soil. 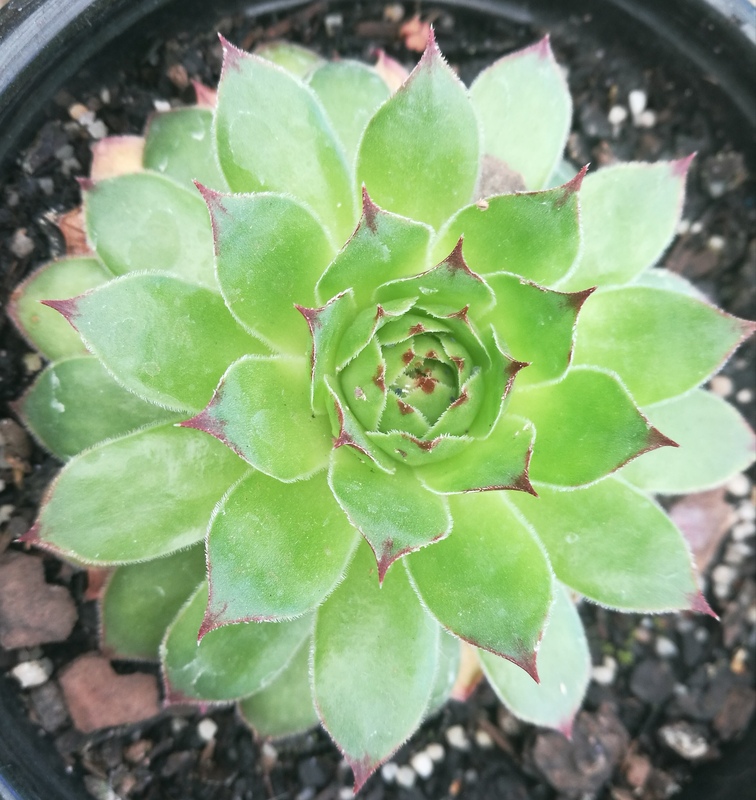 Don’t confuse Sempervivum with Echeveria. Although both are rosette-forming succulents, Sempervivum has slimmer, sometimes longer petals and the hen-and-chick offsets are much less dense in growth then Echeveria. The edges of the petals from a Sempervivum are also mostly burred, in smaller varieties. These plants are Monocarpic– meaning that they flower once and then die. Their lifetime does however yield lots of offset plants which will continue the life-cycle of the plant. Did you know: The Romans used the juice of the Sempervivum to ward caterpillars from their crops! Nowadays we have a vast array of insecticides at our disposal! Sempervivums are frost hardy as well as drought tolerant– they enjoy full sun to bring out all the colours they boast. If they are in shade they will mostly display as green. Are you up to date with all the Succulent Series?